Incredible Gold rated condo with 3 bedrooms and 2 bathrooms located on the first floor in the lovely Bahama Bay Spa and Resort. This home features an open floor plan with a beautiful kitchen with all stainless steel appliances. There is a private balcony located in the living room and master bedroom. The luxurious master bedroom has an ensuite bathroom. 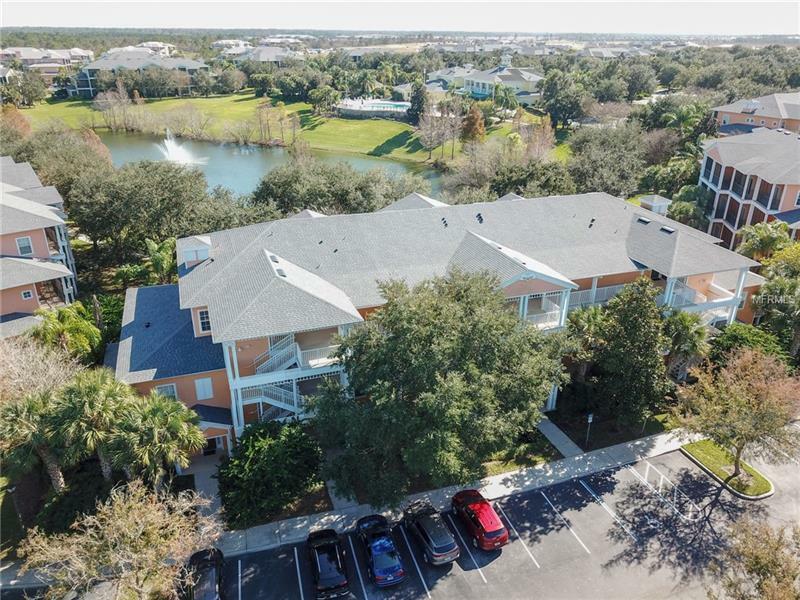 This outstanding gated community has so many amenities for you and your family to enjoy that include a clubhouse, fitness center, multiple community swimming pools, sand beach, tennis and basketball courts, shuffleboard, paved nature trails and a full-sized fishing dock on Lake Davenport. The unit is only steps away from the main pool and clubhouse. Perfect for a second vacation home or even a short term rental. Stop by and see this fantastic home for yourself! Pet Restrictions: The Owner, and only the Owner, is permitted two standard domesticated animals not to exceed 25# each.